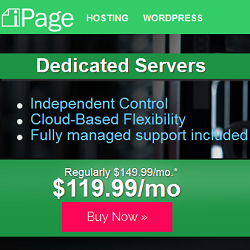 iPage VPS Hosting increases power, flexibility, and control. 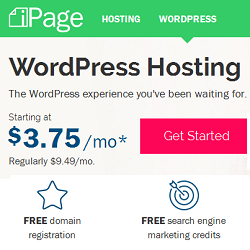 They offer different VPS hosting plan to suit your need. With every VPS hosting plan, you get free domain name for 1 year, Pre-installed scripts and managed support. You will be able to customize your hosting environment, as well as install proprietary software or other applications. High-speed mirrored SAN storage and guaranteed memory allocation will ensure maximum server speed and reliability at the best possible price. 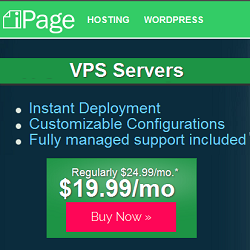 iPage offers three different type of VPS hosting plans (Basic, Business & Optimum) to suit your need. All the plans available in 3 terms (1 month, 12 months and 24 months). 1 month or 12 months plan is little bit costly than 24 months plan. iPage gives you cloud-based flexibility, instant provisioning and seamless migration options for total scalability as your web site grows and your audience increases.